CLEMSON, S.C. — The Bobby Bowden Award Selection Committee announced today that Clemson wide receiver Hunter Renfrow has been named the winner of the 2018 Bobby Bowden Award, given annually to the Division I player who epitomizes dedication to faith, family, friends and football. Renfrow won the award among a pool of finalists that included Kansas State offensive lineman Dalton Risner and Notre Dame linebacker Drue Tranquill. 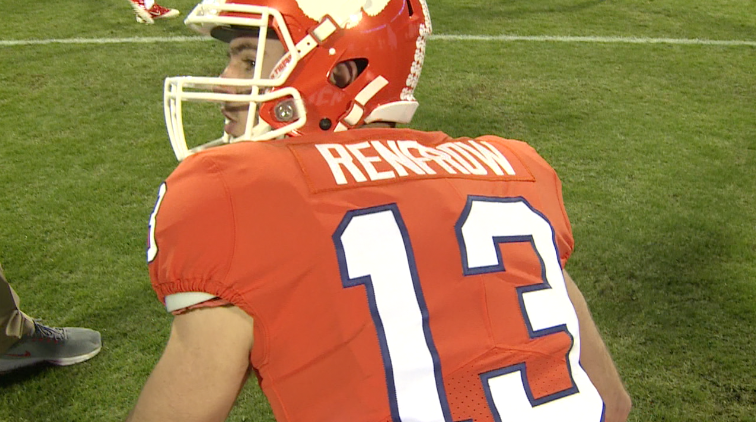 Renfrow becomes the second Clemson player to earn the honor since the award’s inception in 2003. Quarterback Deshaun Watson won the award following the 2016 season, giving Clemson two of the award’s three most recent recipients. The award will be presented to Renfrow at Cottage Hill Baptist Church in Mobile, Ala., on Sunday following his participation in the Reese’s Senior Bowl on Saturday. Among those expected to attend will be Clemson Co-Offensive Coordinator Jeff Scott, who served as Renfrow’s position coach, as well as Clemson Director of Player Development Brad Scott, who spent 11 seasons at Florida State coaching on the staff of the award’s namesake, Bobby Bowden. 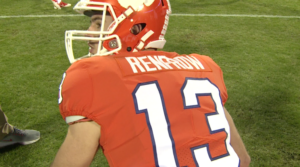 Earlier this year, Renfrow collected the 2018 Burlsworth Trophy, presented to college football’s most outstanding player who began his career as a walk-on. He concluded his Clemson career ranking fifth in school history in career receptions (186) and 11th in career receiving yards (2,133) in addition to recording 15 career receiving touchdowns. He exits Clemson holding school records in career starts by a wide receiver (47) and consecutive games with a reception (43).